For more than 70 years Italian brand Salvatori has been pushing the boundaries of working with stone. Design daily trips to Milan have always included a look at the brands showroom in Via Solferino, in a wonderful bulilding it shares with Boffi, Living Divani, Paola C and Dimore Studio. Boffi, Living Divani and Salvatori all benefit from the creative influence of Piero Lissoni. With “Stone Innovation” as the brand’s guiding principle, Salvatori has incorporated state-of-the-art technical advances and sought out partnerships with key architects, designers and artists such as Piero Lissoni, Kenga Kuma, John Pawson and Ron Gilad. A room within the Salvatori showroom in Sydney. Photograph by Cedric Tourasse. Whether these collaborations are to create new textures, site specific installations or finished objects, the results are always original and quite often groundbreaking. The opportunity for Australian design professionals to tap into this wealth of talent and the company’s general expertise in stone is now very much at hand with the opening of a dedicated Salvatori store in the central Sydney suburb of Darlinghurst. The 'Dritto' table by Piero Lissoni for Salvatori. The design comes in variety of stones (including a sustainable parquetry-style marble material called Lithoverde) and in oval, round and rectangle shapes. 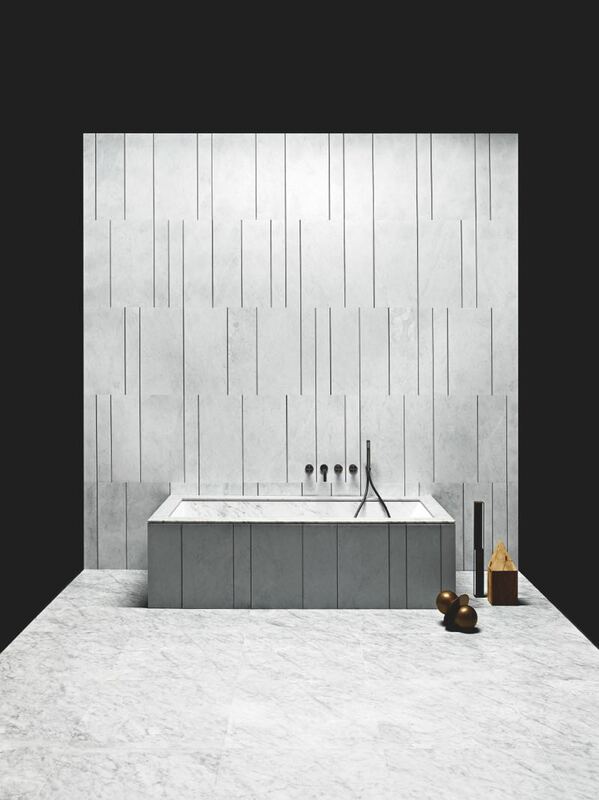 The brand was originally introduced to Australia as a small part of Boffi Studio Sydney’s showroom when it opened in 2013 but the interest in the brand’s incredible variety of finishes and technical know-how has warranted a stand-alone showroom where the full expression of Salvatori work in stone can be experienced. The Sydney showroom joins similar stand alone stores in Milan, Zurich and London. Pieces from Ron Gilad's Soft Marble installation in Salvatori's Milan showroom, including the Galleria bench and 'Cuscina' tile. 'Cuscini', Italian for “pillows”, was part of Gilad’s Soft Marble collection for Salvatori shown in Milan in 2012. The collection included four objects that redefine what is possible with marble; the 'Galleria' bench (shown above) Gisela bench that appears like a curl of butter in marble, 'Paravento' a curved room divider and 'Cusini' a cushion-shaped tile (shown as a large wall panel in the image above). The 'Urano' table lamp by Elisa Ossino (to the right) sitting on 'Ciane' drawers and a wall panel in Gris du Marais stone. "I have always chosen a very particular type of designer to collaborate with. I look for that elusive poetic quality in their work and I can feel when it is something different. Working with designers like Kengo Kuma and John Pawson is quite amazing. I am not interested in working with big name designers who are doing everything and who are literally working for every company, on every product. Where there is no love or chemistry, for us no good product can come out of it - it just doesn't fit with our culture". Situated a level above Boffi Studio Sydney, the showroom showcases Salvatori’s three distinct product ranges: stone for walls & floors, bathroom concepts, basins and vanities and their home collection which includes furniture lighting and accessories in stone. The space will contain a large range of different textures and materials including the award-winning sustainable product, Lithoverde™ a product that uses thin slices of marble offcuts to amazing effect. Lithoverde® marble used in a wall/floor application with furniture by Piero Lissoni for Porro (and a vintage task chair). Lithoverde® is one of Salvatori's most innovative products - not in terms of how it defies gravity as in some of Ron Gilad's pieces for Salvatori, or in terms of surface texture, but in its approach to the sustainable use of marble. Made from off-cuts of marble that had previously gone to landfill, Lithoverde® was developed to maximise the available material while creating a totally new surface that emphasises the stratification process that is so essential to the natural development of all stone. The 'Plat Eau' Classic 1 by Silvia Fanticelli for Salvatori. Different stones and finishes within an aged brass frame. The Italian designer Silvia Fanticelli recently designed a range of products called 'Plat Eau' - named after the French word for tray. Fanticelli has based the range on a number of Salvatori's textures such as Raw and Bamboo and pieced them together in imaginative ways that create an alternative stone landscape. Collage-like, the beautiful objects can adorn bathroom, bedroom, kitchen or living areas. 'Plat Eau' is a range of accessories for the home suitable for a variety of uses. 'Farfalla' pendant lights by Marco Carini for Salvatori. The complex translucency of marble has been used in recent times as a feature in pavilions at various Expos and in domestic and commercial buildings as a feature wall. Like porcelain, it is also a perfect material for lighting. Marco Carini has re-designed the traditional office strip light for Salvatori using marble and LED creating an incredibly minimal light that reveals the beauty of marble veining with the LED strip embedded within a 'U'-shaped section of solid marble. The House of Stone installation by John Pawson for Salvatori shown at the Think Tank exhibition, Milan Design Week 2010. Over the years Salvatori have worked with a wide variety of architects, designers and artists, including the British minimalist architect John Pawson. His installation House of Stone for Salvatori shown during Milan Design Week 2010 expressed the technical dexterity of Salvatori through an impeccably simple structure. The archetypal house shape was made entirely of stone - inside and out - and required a incredibly high-level of detailing to achieve the perfection Pawson required. Lit internally by LED lighting from lighting specialists KKDC, the building resonated with something of the feeling normally experienced within religious spaces. For more information on the Salvatori range click here. 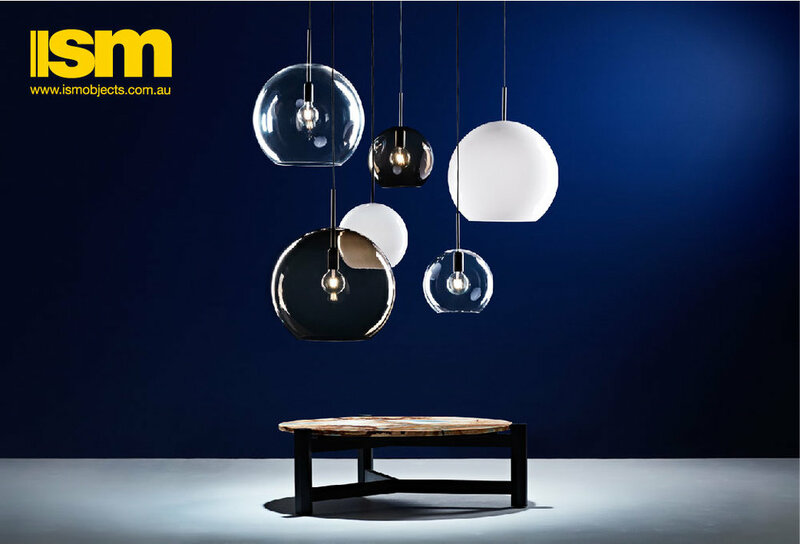 For more detail on the Salvatori showroom in Sydney, click here.